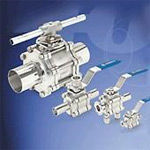 Ram Universal offers a wide variety of ball valves and componenets. Ram Universal offers a wide variety of butterfly valves and componenets. 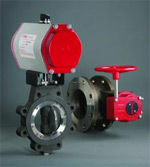 Ram Universal offers a wide variety of knife gate valves and componenets. Ram Universal offers a wide variety of check valves and componenets. Ram Universal offers a wide variety of control valves and componenets. This company supplies Products & Services in the Chemical, Food & Beverage, Mechanical, Petrochemical, Oil & Gas, Water & Wastewater Treatment industries.